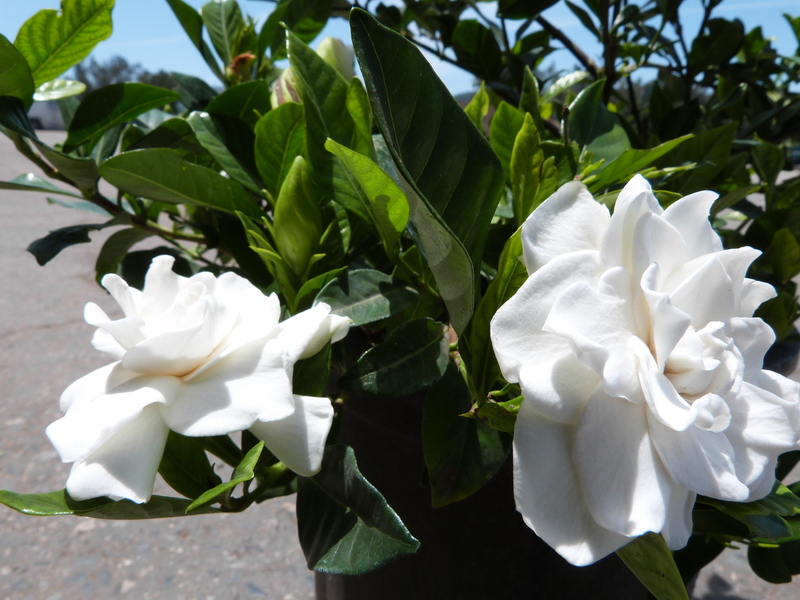 Everblooming gardenia is a compact evergreen gardenia with a dense growth habit. Growing to only 4-feet tall, this variety is perfect for tucking in around entryways, small patios and even containers. Its deep green foliage is glossy, providing the perfect backdrop for the bright white to pale-yellow flowers. The intensely fragrant blooms are produced continuously through spring and summer. Be sure to plant everblooming gardenia in high-traffic areas where its fragrance can be enjoyed. Depending on the climate, gardenias can be planted in full sun to dappled shade. When planted in areas with intense summer sun and heat, it’s best to provide afternoon shade or dappled shade. In order to thrive, gardenias require acidic, well-draining soil. When planted in heavier clay or alkaline soils, plants will have problems with chlorosis and diseases. You’ll typically need to feed gardenias with acidic fertilizers and iron compounds several times a year to keep them looking their best. Organic compost and mulch are also beneficial. Plants need regular watering throughout the season and evenly moist soil.